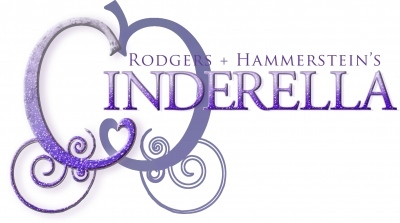 The theater department is hard at work producing the marvelous new fall musical, Cinderella! An enchanted evening awaits you at the BBCHS auditorium November 8-11. “I knew I wanted to do a show that was centered around female leads this year, and I think the new Broadway version of Cinderella is a perfect example” said the play’s director, Mr. David Morgan, who has previously directed Beauty and the Beast, The Lion King Jr., Footloose, along with countless other productions. In the past, there have been many productions with male oriented leads and this year’s new fall musical intends on changing that and shining the spotlight on women. The Cinderella of this new reimagined 2013 Broadway musical is more of an independent lead rather than the damsel in distress, making for a great role model. “Rather than waiting for the prince to show up and save her, this Cinderella is more of an activist and is motivated” Morgan added with a smile. In the original film, Cinderella was focused on pleasing others around her and forced to live a miserable life due to her cruel stepmother and stepsisters consistently beating her down with negativity. In a change of pace however, this new musical takes the cynical stepsisters and stepmother and transforms them into likable, charismatic characters more focused on assisting Cinderella rather than be a hinderance to her success. Now, I know everyone is wondering how this could be Cinderella without the evil stepsisters and stepmother. Well, you will have to go and find out for yourselves! Come out and support your fellow classmates while they show us the performance of a lifetime! This extravagant show is one you do not want to miss!